Motion: To Approve Payroll Payable 8-24-2018 in the amount of $270,214.34. • On Friday, I attended the Flint Hills Regional Council meeting in Randolph, KS. • Gary Stith will be making an appointment with the Commissioners for September 13th to discuss an EPA Project Grant to identify properties that need to be cleaned up in Lyon County. o Resolution 13-18 to Open a Portion of Road A.
o Commissioner’s Road Journal to Open a Portion of Road A.
o Abstract of Votes Cast of the Primary Election in Lyon County, Kansas on the 7th day of August 2018. • I attended the Flint Hills Beef Fest on Saturday. • I will be attending the Department of Aging meeting on Monday in the Annex building. • The District Courts Holiday Schedule for 2019 will be added to next week’s agenda. Marc Goodman discussed with Commissioners Senate Bill No. 331. Bruce Boettcher presented Commissioners with a pay estimate for their consideration and the project update. 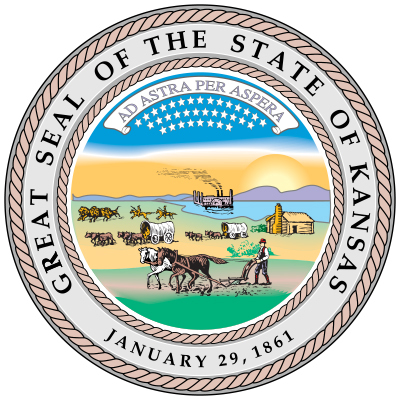 Meeting reconvened at 8:56 a.m.
Meeting reconvened at 9:19 a.m.
Public Hearing: 2019 Lyon County Budget Hearing: Commissioners discussed the Lyon County Budget. Commissioner Martin presented the Budget Authority for Expenditures in the amount of $29,411,917.00 and the amount of 2018 Ad Valorem Tax amount of $19,402,001.00. No one from the public was present to make comments on the 2019 Budget. Motion: To Approve the 2019 Lyon County Budget as presented. Commissioner Slater commented that a lot of the increases in this year’s budget is public safety, law enforcement, and dispatch, so we can keep this a safe place to live. It is a very fair budget. Commissioner Briggs agreed, it seems like the cost for providing public safety for Lyon County is increasing every year. The type of crimes, type of needs, and the technology to handle those situations. This budget does allow for us to provide the Statutory requirements that we are taxed with. The budget allows us to invest in the Community as far as Main Street, Emporia State University, Hetlingers, and SOS to make us a better community. Commissioner Martin emphasized that people helped themselves on passing the ten-year sales tax. This allows for a lot of capital expenditures, Sheriffs cars, equipment for Road and Bridge and our special appropriations to help for targeted needs in our community. There is no line item in this budget for Bond and Interest. We have no debt. I am proud of that. I would like to thank Dan Williams and his staff, Commissioners, Department Heads, and Elected Officials for putting together a sensible budget that I can fully support at this time. Meeting reconvened at 10:45 a.m. There being no further business before the Board, the next Action Session will take place on August 30, 2018.